Alexandria, VA - As the cherry blossoms spring open for the National Cherry Blossom Festival in Washington, DC, blossom-centric activities bloom across the Potomac River in Alexandria, Virginia. 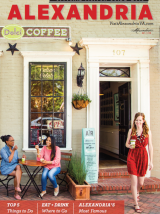 Visitors celebrate one of the DC region&apos;s most beloved traditions, exploring Alexandria&apos;s rich history and connection to the season&apos;s favorite buds through palate-pleasing eats, spirited tours by bike and boat and luxurious hotel packages. Delight in cherry-inspired dishes with DC Metro Food Tours&apos; new Old Town Cherry Blossom Food Tour of local Alexandria eateries, or view the riverside blossoms with Bike and Roll&apos;s Blossoms by Bike River Ride on a heart-pumping bike tour. Cruise at your own relaxed pace with a Cherry Blossom Boat Tour by Potomac Riverboat Co., gazing at the national monuments, and return to Alexandria for an evening of fine dining and vibrant nightlife. With National Cherry Blossom Festival events in DC stretching from March 20 to April 13, 2014, Alexandria is the perfect home base for a blossom-filled vacation, with special hotel packages embracing the buds. Within eyesight of Washington, DC and the cherry blossoms bursting along the waterfront, Alexandria&apos;s lively shopping, dining and art scenes nestled amidst historic architecture creates an extraordinary setting for a springtime getaway. Wednesdays at 11:30 a.m., Saturdays at 2 p.m.
New to Alexandria, DC Metro Food Tours will bring their popular Cherry Blossom Food Tour to Old Town. In celebration of the National Cherry Blossom Festival, guests will embark on a guided walking tour of Alexandria, exploring the city&apos;s history and 18th- and 19th-century architecture while pausing in locally-owned eateries to sample delectable cherry-centric dishes and learn about cherry blossom history in the nation&apos;s capital. Join Bike and Roll on this three hour specially-crafted tour, riding along the scenic Mount Vernon Trail from Old Town Alexandria to Washington, DC, and experience magnificent views of the cherry blossoms from across the Potomac River. The tour continues into DC and around the tidal basin where bikers will see the blossoms up close and learn the history of these beautiful gifts before heading back to Alexandria. Departing at 11:30 a.m., 1:30, 3:30 & 5:30 p.m. In celebration of the National Cherry Blossom Festival in Washington, DC, the Potomac Riverboat Company offers the chance to avoid the crowds and embark on a relaxing boat cruise, viewing the gorgeous pink buds blooming along the Potomac River. As an extended version of the company&apos;s "Washington by Water Monuments Cruise," this cruise also includes the opportunity to view DC&apos;s riverside monuments and disembark at Georgetown. With this premier package, visitors celebrate the National Cherry Blossom festival with blossom-inspired treats like handcrafted cherry blossom soap, a $25 room credit per day to be used toward breakfast, lunch, dinner or parking, and bubble welcome amenities for kids, in addition to the luxurious accommodations offered by Kimpton Hotels year round. Only five miles from Washington, DC and located along the scenic Potomac waterfront, Alexandria offers cosmopolitan shopping and dining against a backdrop of 18th- and 19th-century architecture. Named a Top ArtPlace 2013 for its dedication to maintaining a thriving artistic and cultural scene, the city houses renowned art galleries, theater companies and music halls. Once home to George Washington and key players throughout American history, Alexandria combines its rich history with award-winning restaurants, chic boutiques and ever-evolving arts to create an extraordinary getaway destination.